COOKIE BAKE, CRAFT MAKE with LUNCH PROVIDED! Sunday, December 9 at 12:30 p.m. The Missions Team is excited to be offering this fun and fulfilling event that will benefit the folks living in the 200 units at the Luther House. We will be bringing blessings and good cheer to each resident with cookies and crafts hung on each door. Come out and help us bake or make. If you would like to participate but are unable to attend, we would enjoy receiving home baked cookies to include. ALL are invited. 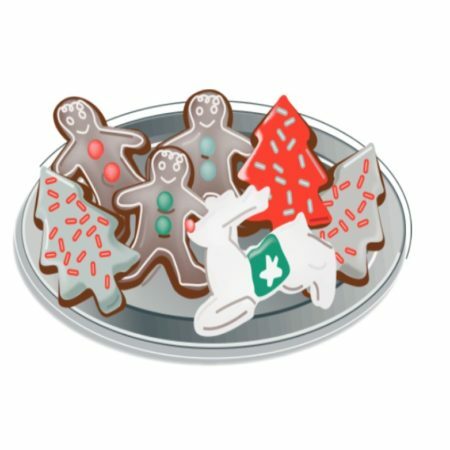 The 12/9 Cookie and craft event will have lunch provided. If you would like to help deliver on Monday the 10th, please contact Janice Bowers at janicesemail2@gmail.com or 484-888-6821.